Forte School of Music is providing the best Childrens Music Classes & Courses Online In Sydney, If you are looking for the best Music teacher, Grab our free course now! Learn how music benefits little brains and their development. Immersing babies and young children in a music rich environment of interactive musical activities has been proven to have a positive effect on the intellectual abilities of young children. Best of all it is loads of fun for parent and child! 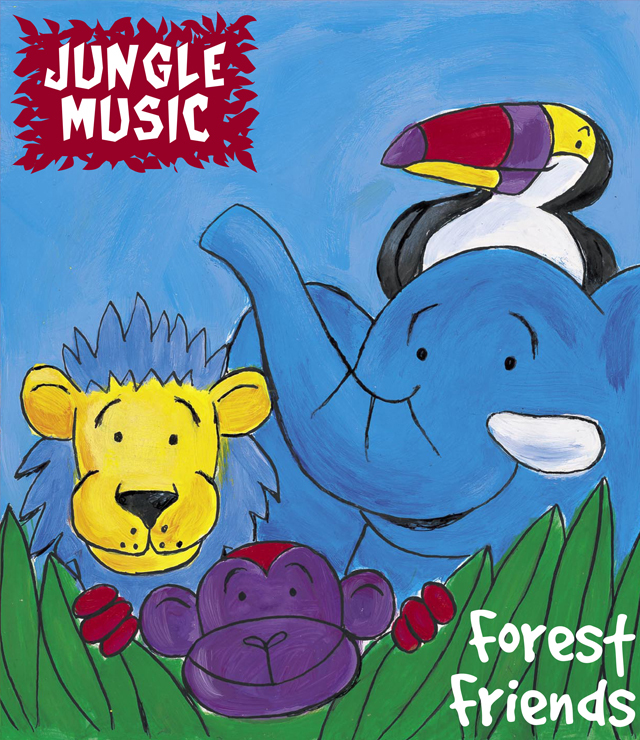 Jungle Music is Forte's award winning early childhood music programme. Parents and children love the Jungle Music programme, the characters, the activities and experiences each week in class. The dynamic and engaging music is just part of what makes Jungle Music so special. You'll be amazed at how your child will begin to really understand music and respond to music. In Jungle Music, children are given the opportunity to experience a wide range of musical activities in a nurturing, safe environment. Children who experience music in this way develop strong neural pathways (brain development) linked to later academic success. See all the lessons in the Jungle music Programme by using the purple buttons. Also see our Music Is Fun programme for 3-4 year olds. Jungle Babies has been specially designed to introduce parent and baby to the music. You will immerse your baby in a rich diversity of activities and sensory experiences each week at your lesson and can repeat these at home. There has been much research about the benefits of exposing babies and young children to music and musical activities. Jungle Babies is a wonderful time to introduce your baby to the world of sound and music in a warm, nurturing atmosphere with other parents and their babies. Jungle Music course materials are an essential part of the Jungle Music course. They consist of CD (with full lyrics booklet) and beautifully illustrated full colour book. These materials, unique to Forte schools enhance and strengthen your child's learning. Playing the CD frequently between lessons is not only is enjoyable but also assists your baby in being more familiar with the music and in turn gaining more from lessons. Why is music so important to babies? At this pre-linguistic stage your child’s hearing abilities will be developing in preparation for the job ahead of learning to talk. This is a wonderful time in your life to enjoy your baby and have fun through music knowing that you are helping to lay down fundamental neurological frameworks for your child’s future learning. 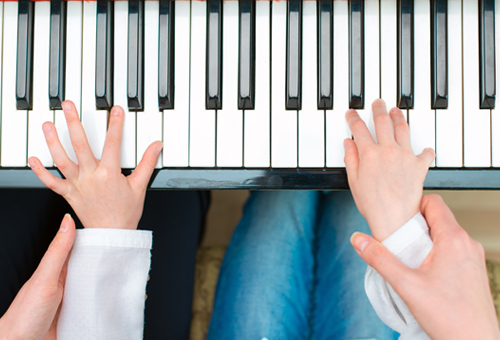 Learn how important a good music program is to little brains and their development. 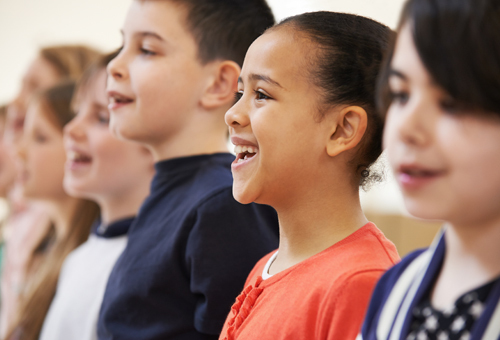 Learn how to harness the hidden power of music to create a smarter, happier, healthier, more confident and capable child. Download this special report here. As your baby becomes familiar with the music he will begin to predict the end of section changes. This means your baby is digesting the music; making sense of it for himself. Babies crave predictability - like when a baby drops the toy repeatedly and Mum always picks it up. In Jungle Babies class we lay down some of the framework and patterns of music through movement and changing the movement from verse to chorus. Babies love this predictability in change of movement from section to section. You will notice over time and familiarity with a song that he/she adjusts his/her body at the end of a section ready for the change. Children immersed in a rich sensory environment have a large pool of experience on which to interpret their world. This aids confidence and intelligence. Music is built on patterns. EG 4 beats per bar, 4 bars per phrase, 8 bars per section. Active involement with music working with them fundamental help scaffold structures in the brain on which to layer future experiences. It is no wonder that the foundations you are laying down in Jungle Music will help with learning. Jungle Tots is fun for both parent and child. You child will delight in the rich diversity of activities and sensory experiences in every lesson. This course along with all the other Jungle Music courses form an ideal introduction to the concepts of music and of learning, generally. Jungle Music course materials are an essential part of the Jungle Music course. They consist of CD (with full lyrics booklet) and beautifully illustrated full colour book. These materials, unique to Forte schools enhance and strengthen your child's learning. Playing the CD frequently between lessons is not only is enjoyable but also assists your child in being more familiar with the music and in turn gaining more from lessons. Jungle Music class equipment has been specially chosen for the age group and offer a rich range of sensory development. Classes include directed creative movement, singing, dances and other circle activities aimed at developing musical understanding through doing. This may be the first learning experience where your child is encouraged to focus and engage in directed tasks. Support your child by being calm and patient in the first few weeks as he/she learns how to learn and gains confidence in these new surroundings and how the lesson flows. Some children can be reluctant in the first few weeks to join in during class and quite often these children astonish their parents by going home and singing the songs and do the actions while in class they prefer to hide behind Mum or Dad. Don't worry, they will come out to play when they are ready. Jungle Friends is fun for both parent and child. You will delight in the rich diversity of activities and sensory experiences your child will enjoy each week. This course along with all the other Jungle Music courses form an ideal introduction to the concepts of music and of learning generally. Jungle Music course materials are an essential part of the Jungle Music course. The beautifully illustrated full colour book and CD are unique to Forte schools and enhance and strengthen your child's learning. Playing the CD frequently between lessons is enjoyable and assists your child with learning. During the class, social skills such as sharing, taking turns and putting things away are introduced and gently encouraged. The Jungle Music course is designed so that you can start in our classes at any point in the term and move up to the next age group when your child is old enough. Join in the fun of Music is Fun, our introductory piano course. There's a whole host of musical activities designed to be fun and develop your child's musical skills and senses. 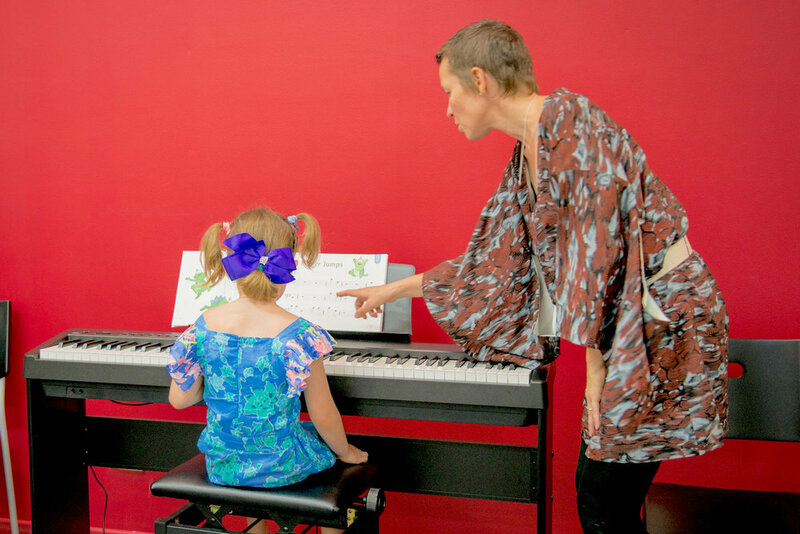 Your child will even have a chance to compose their own music! Like all Forte courses Music is Fun was developed by a team of early childhood educators, musicians and movement specialists and offers child centred activies that are developmentally appropriate for this age group. Once you've complete Music is Fun it's on to Junior Keys where you'll already be armed with a solid base of musical skills on which to build the next layer of understanding and development. Come along a see just how much fun you can have making music with your little one. "I have had my kids learning at Forte for 2 years now, they have completed Jungle Music and then Music is Fun, my older daughter is about to start piano. I am enjoying learning with them. I can highly recommend their courteous and friendly teachers and staff." "The atmosphere, dedication, creativity and enthusiasm at Canning Vale Forte School of Music. Our weekly lessons are one of the highlights of our week! A big hug and thank you to all the staff that work there." "Everything you do has been well beyond expectations. Everyone is a pleasure to speak with. Your teachers are great with kids, and firm enough when needed." "Mr Cameron is awesome! Your friendly and welcoming and professional nature makes the place a pleasure. The rooms are always clean and tidy." "The service and tuition at Forte Joondalup is extremely welcoming and meets all my childs needs very helpful staff and just a really fun place to learn." "You listen to parents, relate to kids, are easy to approach by everybody." "I work at Forte Dee Why and it is a true pleasure seeing the kids learn and develop but most of all have fun doing it! Highly recommend Forte Dee Why." The sense of pitch awareness and the development of perfect pitch is outstanding in Forte pupils. It amazes me that I have taught the pupils this myself as my listening skills were very poor as a learner - aural tests were my weakness at every level from grade exams to degree level. It is without a doubt the use of solfege which has achieved this, and their outstanding pitch abilities produce comments from other music educators that come into contact with our pupils through their schooling and/or learning a second instrument. My own listening skills have improved beyond belief since I have been teaching solfege at Forte. I can pick up tunes easily now that I hear and can perform readily by ear. In college I was the student who struggled to play the pieces which had to be learned from memory.